Century's ultimate punch bag! Has the largest kicking and punching surface area on the market! 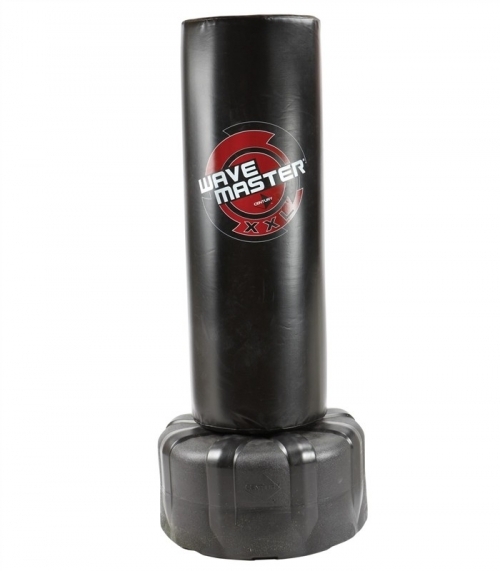 The Wavemaster XXL is the ultimate all round workout bag. Suitable for home use or in the Gym. Can also be used Outdoors. Stands 175cm tall and a full 45cm in diameter. Extra large fill hole and cap allows you to easily fill base with sand or water. Comes with 12 month manufacturers guarantee. Manufactured in the USA. Warning: look out for cheap imitations. If it doesn't carry the Century Logo it's not an original XXL.